Mexican cement giant Cemex grew its profits and enlarged its market by helping the poor to help themselves. The cement manufacturer studied the savings and credit habits of the poor to formulate a novel scheme of financing. Cemex, the Mexican construction materials giant, with $15 billion in revenues and over 50,000 employees, is the world's third-largest seller of cement and - if its other products are added in, such as readymade cement - the world's biggest supplier of building material. In 1994/95, Mexico went through an economic crisis and Cemex saw a 50 per cent drop in revenue. However, during the same period, revenue from low-income families building their own houses reduced by less than 10 per cent. Cemex believed that this $500-million market had the potential for growth, and could help in diversifying its customer base and hedging it against business cycle fluctuations. But building houses for the poor had often proved a lengthy and risky endeavour in the past. To establish a profitable and scale business by serving this segment, Cemex designed and rolled out a unique programme "Patrimonio Hoy" (Property Now) in 1998. Patrimonio Hoy innovatively addressed the key issues faced in dealings with this segment. Broadly, there were three issues that Cemex was faced with: Issue: With no savings or access to credit, lowincome families could only buy small amounts of building material at a time. Construction of a single room sometimes stretched over years. Despite its success with the Patrimonio Hoy scheme, Cemex's sales for the latest quarter in Mexico were flat at $856 million (Rs 4,280 crore). Mexico accounts for about one-fifth of the company's sales. Debt-laden Cemex, which recorded its eight straight quarter of losses, hit a bad patch after a multi-billion acquisition in 2007. Cemex's Approach: Through a membership system based on small monthly fees, Cemex provided collateral-free microfinancing. Issue: Distributors had little interest in delivering small volumes of building material to remote areas where the poor lived, while materials saved up over years deteriorated for lack of adequate storage space. Cemex's Approach: Provided professional storage space and served as an intermediary for distributors of building material other than cement, increasing the volumes by bundling requirements of several families. Issue: Lack of expertise led to many constructions being started but never completed or being of very low quality. Cemex's Approach: Provided engineering and architectural expertise as part of the membership. The unique aspect of Cemex's Patrimonio Hoy innovation is that it combined a basic human aspiration with an age-old tradition in Mexico. Everyone aspires to build his or her own home, but for low-income customers it is often not financially feasible. In Mexico, there is a traditional system called "tanda" that essentially acts as a rotating credit system. Members of a community pool their resources into a common fund, from which credit is extended by rotation. Cemex had noticed falling sales and the inability of a large number of potential customers to afford the costs that go into making houses. Patrimonio Hoy was a response to this. The cement manufacturer studied the savings and credit habits of the poor to formulate a novel scheme of financing. This was a combination of savings and credit schemes whereby customers show their savings discipline by regular monthly payments and Cemex develops trust in them by delivering building raw materials early on credit. Loans are extended to people who form groups with other potential customers, akin to self-help groups in India. This creates the necessary checks and balances against defaults. The innovative business model of Cemex benefits every player in the value chain. Besides financing, Cemex offers other value-added services to customers like architecture and masonry help and storage for building materials. Suppliers and distributors get guaranteed demand. 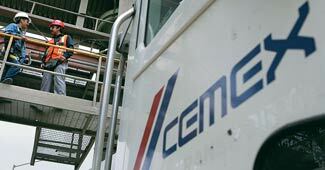 Cemex gets fixed monthly revenue. Through this unique out-of-the-box innovation, Cemex was able to enlarge its market, build customer loyalty and long-term partnerships with distributors and municipalities, as well as acquire an image of social responsibility and innovation. Today, almost all major retailers in Latin America provide credit options to consumers and in many cases the financing arm of the retailers is almost as large as its core business of retailing. It has obviously led to growth of each of these retailers, but more importantly provided products to the poor that only the rich could afford. It is quite obvious that such an initiative would work wonders in all emerging economies, including India. In the fast-moving consumer goods category, we have seen how the advent of sachets allowed lowincome customers access to brands and products that were till then unaffordable for them. Retailers can tap into aspirations of low-income customers in categories like furniture and electronics by providing similar microcredit facilities. But for this the retailer will have to acquire a detailed understanding of saving and spending habits of diverse communities here. 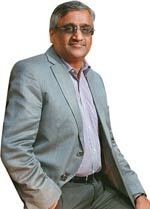 Next, he will have to challenge the existing norms and regulations related to offering credit in India. Conventional procedures for extending credit in India involve elaborate address and income verifications. We have to also find a way in which these can be bypassed and social and community norms need to be leveraged to keep defaults low. Cemex divided the market into areas comprising 100,000 people each, and established small managerial cells in each area consisting of just one to four full-time staff members - typically a manager, an engineer and an architect. It contracted promoters from the local community, mostly women, and paid them a commission for attracting clients. Linking the commission to the customer's membership ensured that promoters had an interest in ensuring long-term financial discipline of participants. It is not surprising that Patrimonio Hoy turned out to be a success: Cemex reports the programme has reached 265 million families so far. Over the years, it has been rolled out in other countries, too, including Colombia, Costa Rica, Nicaragua, and the Dominican Republic.